An interesting article from zizonline.com reports of the successful participation of a total of 55 cultural artists in the fields of performing arts, visual arts, literary arts and culinary arts at a Cultural Workshop were the St. Kitts and Nevis Creative Industry Registry (SKNCIR) was introduced to them. 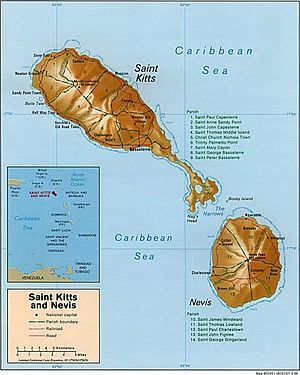 Posted on June 6, 2013, in Event News and tagged #CulEnt, Caribbean, cultural workshop, Saint Kitts, Saint Kitts and Nevis, Travel and Tourism. Bookmark the permalink. Leave a comment.